NO LEADERSHIP CLASS THIS MONTH DUE TO BLACK BELT TESTING AND UPCOMING SEMINARS! Joshua started with AASD in January of 2016! It was apparent from the beginning that Joshua was very intense with his training. Always giving 100% and then some, Joshua usually sets an example that even students much older then him should emulate. Sifu Rick & staff can always count on Joshua to also show the up-most in courtesy and disciple while in class. 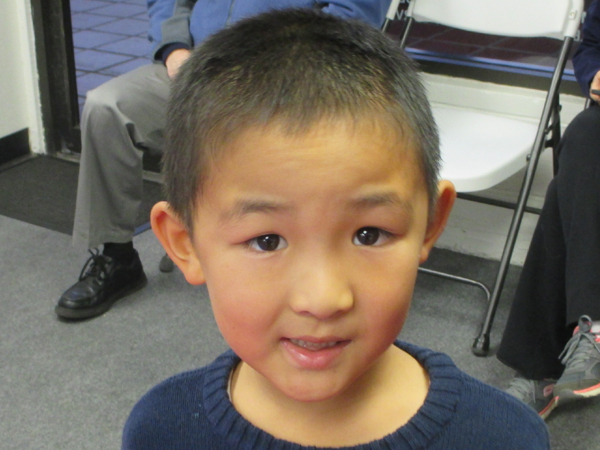 We are impressed with Joshua’s ability to learn so quickly, especially for someone so young. This shows true respect for not only our school, but for the art as well. Sifu Rick and staff would like to salute Joshua’s parents Jason, and Amy for all their support as well. HOW OFTEN DO YOU SWEAT? Everyone knows we need to exercise to stay healthy. Typically, doctors recommend some type of exercise at least 3-5 days a week for a minimum of 45 minutes. Ask any individual and you’ll get a different answer on what constitutes “exercise”. Some like to use the “sweat test,” but many don’t know that there are actual health benefits to sweating. Boost Endorphins — Exercising and sweating increases the level of the “feel good” hormones that are naturally released during physical activity. According to a 2009 study in the journal Biology Letters, group workouts actually increase endorphin levels and cause less pain for those who work out together than those who train alone. Detoxify the Body — One of the most efficient ways to detox your body — without juicing — is to sweat. Sweating can help flush the body of alcohol, cholesterol, and salt. The body releases toxins by using sweat as the conduit. Lower Kidney Stone Risk — Sweating can be an effective way to remove the salt and retain calcium in your bones. This will limit the accumulation of salt and calcium in the kidneys and urine, which is where kidney stones come from. It is not a coincidence that people who sweat more tend to drink more water and other fluids, which is another factor in the prevention of kidney stones. Zap Zits — Your pores open up when you sweat and that releases the buildup inside them. Sweat purges the body of toxins that can clog pores and plague the skin with pimples and blemishes. The next time you exercise, challenge yourself to work hard enough to get a little sweaty. You might be a little more motivated to work out knowing that you are doing more than simply toning your body or losing weight. You may be new to the martial arts or you may be a seasoned black belt but, whatever your rank, it’s always a good idea to practice your martial arts manners. If you are a parent of a student, reinforcing manners at home is key to growing the character of your children. A popular reason for enrolling children in the martial arts is to develop “life skills”. These skills include discipline, self-control, patience, confidence, and courage, among others. The idea with these skills and this motivation is to reinforce what is already being taught at home. Martial arts classes can be a valuable tool for helping to really drive home the points you make at home in a very real way. Proper etiquette is a cornerstone of Martial Arts. While each martial arts school may vary in what is considered proper, there are certain rules that remain consistent throughout the worldwide martial arts community. The atmosphere inside any martial arts school is one of courtesy and respect, which is often very different from the atmosphere outside the classroom. For example, inside the school students must address instructors with a respectful title, no matter the age of the instructor. However, outside the school, students are accustomed to calling people by their first names. So it is no surprise that those new to the martial arts often are confused by the etiquette of Martial Arts. In this martial arts school, we strive to teach all students proper etiquette that always applies in the martial arts school and hopefully, everyday life; it is courtesy and respect that make true martial artists stand out in all aspects of their lives. And if there are situations for which there is no clear rule, it is always wise — whether wearing a uniform and belt or not — to strive always to be modest, courteous and respectful to all, in particular those who are senior to you.